...Long rows of 'Undulata' still can be found around homes and in the parks of many U.S. cities. Its overuse and tendency to be voraciously attacked by slugs, however, caused it to gain a bad reputation...I maintain, though, that 'Undulata' is a beautiful hosta." 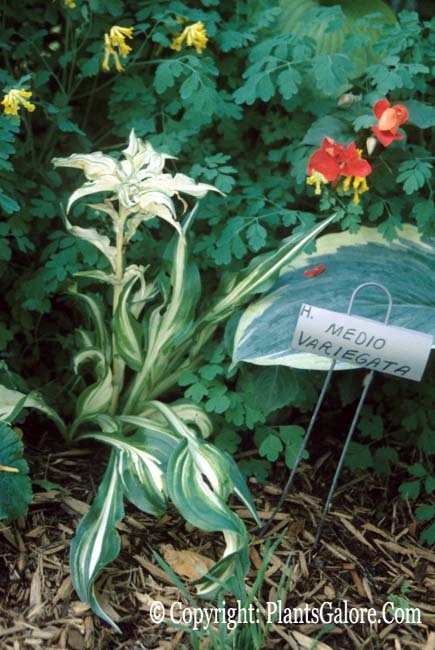 'Undulata' grows into a medium size plant (14 inches high by 32 inches wide) with dark green foliage that has a creamy white medial (center) variegation. The leaves are twisted with a spiral curl in the tip. It bears pale purple, funnel shaped flowers in July. It rarely sets seeds. From the Field Guide to Hostas by Mark Zilis (2014), "The white center of 'Undulata' accounts for two-thirds of the leaf versus only one-third for 'Undulata Univittata'. 'Undulata is also much smaller and less vigorous." The New Encyclopedia of Hostas by Diana Grenfell (2009) states: "Leaves can scorch if exposed to strong sunlight when wet...lacks vigor and is slow to increase. Flower habit is poor since only a few flowers open consecutively and the scape begins to decline before flowering is over. Needs regular division of the clump to prevent the stronger, green marginal portion of the leaf from taking over...The variegated scape bracts can be almost the same size as the leaves." An article about H. 'Undulata' and its origins by Bob Solberg in The Hosta Journal (1996 Vol. 27 No. 1) states that, "H. 'Undulata' is an interpsecific hybrid of H. sieboldii x H. montana collected from the wild and cultivated near Nagasaki in Japan . 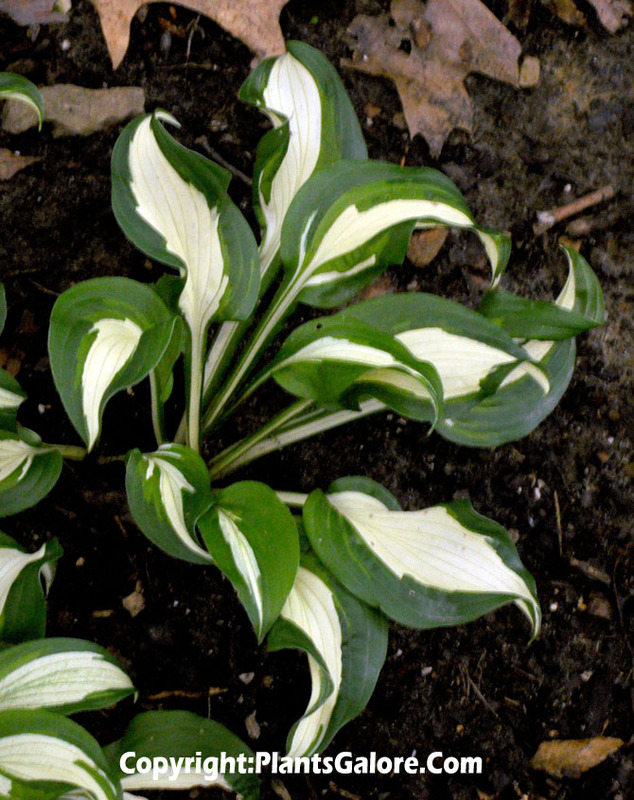 The variegation is a typical type produced by H. sieboldii . Plant size, leaf size, leaf vein count, scape height, flower color and bloom time are intermediate between H. montana and H. sieboldii . Purple anthers are probably from H. montana and undulating leaf margins from H. sieboldii...While the data presented here strongly support these conclusions, they do not provide absolute proof. DNA testing of these cultivars would prove very interesting." This cultivar of unidentified parentage from Japan and has been a part of American gardens for many decades. It has been awarded the Royal Horticultural Society's Award of Garden Merit in the UK. 'Undulata' may have been sold at some time as 'Mackwoods No. 39'.